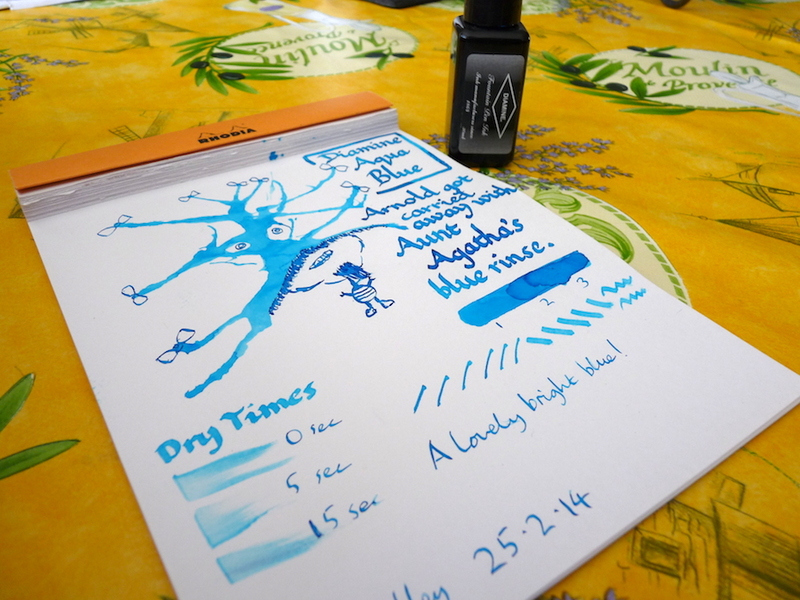 Diamine Aqua Blue ink review – Pens! Paper! Pencils! 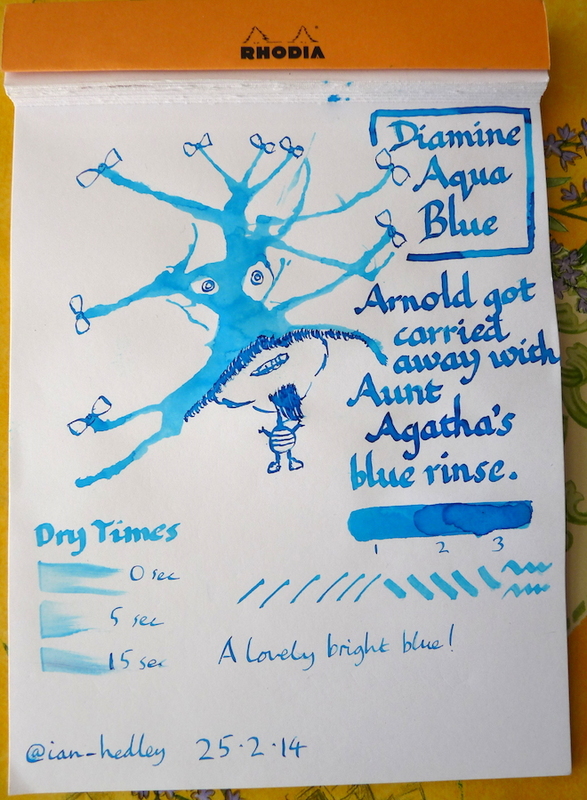 Diamine Aqua Blue is a bright turquoise-y ink. Not a lot of shading but enough to lift it from the page a little. I found it to be quite wet. Here I am doodling the Inkling. You’ll notice quite a pause (even in this highly speeded up version). I struggled to think of what to draw! But if in doubt, draw an eye. That’s a top tip. I have realised that dip pens do not make good dry-time-test-pens. If you like the Inklings that I do and would like to support this site by subscribing to an Inkling Subscription, please take a look here. Love the inkling 🙂 nice color! Thanks for the review! Thanks. Yes it’s a great colour. I see you have the 30ml Diamine bottle. They’re hard to find out here in Asia, much harder than the larger bottles. This ink looks like it shades nicely. Thanks for the look.